—If it’s an important talk, should I call Elen? —No, my awareness was still naïve. When Tigre put his porcelain cup aside, he deeply bowed his head to the extent that his forehead touched the ground. These women were on this land as friendly troops. No matter how many times you bow your head, it’s still an impossible demand. Luminous Flame Bargren. This Dragonic Tool, which had the nickname of “Twin Blades of Demonic Force”, was a pair of blades consisting of a golden blade and a vermillion blade that led Figneria to the capital. —such a lively place doesn’t match my character after all. —Does this mean that they’ve been dismissed? —When looking closer like this, he’s a dead tree-like old man. —He’s speaking as if the Dragonic Tool is a living thing, huh. ‘The Dragonic Tool doesn’t receive orders from the King’. Eugene was saying so. Judging from his serious expression, it did not look like he was saying some nonsense. —I might as well just go to a far-off country without heading to Legnica. —It might become an offering. —I shall test you as a weapon. Thanks for the latest chapter. YES! Thanks you for the chapter! OH HECK YEAH! The wait is worth it. Thanks you so much! yaaaaaaaaaaaaaaaaaaassssssssssssssss, thanks so much for the chapter release, was well worth waiting. The line “His darkish red hair was not particular well-arranged and there was a calm brightness as to let one feel one’s virtue in his black pupils” has a typo in it, I believe: “particular” before “well-arranged” should be “particularly”. There are some other typos here and there that I’m worried about, too, though. They should’ve already been fixed since there’s an editor here. Should I point them out, or should I ignore them? Just asking. 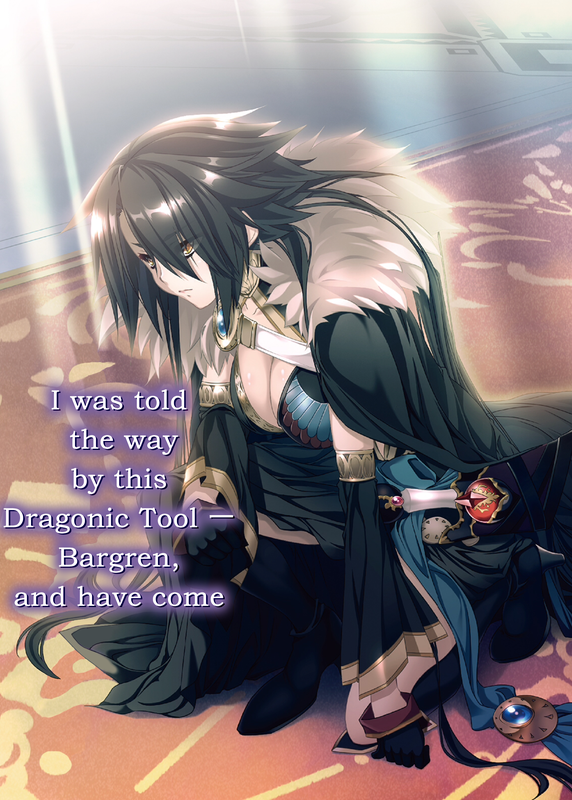 How will Figneria find out about the Dragonic Skills she can use with Bargren? She doesn’t seem to have to have learned them yet, after all. And we also don’t know how exactly Elen and the other Vanadis came to learn theirs. We don’t even know how Sasha, the previous master of Bargren, did it. That said, though, I’m happy to have finally read the novels up to here. Now I just have to wait for Chapter 2 to be uploaded and for Chapter 3 to be finished (and then uploaded). Thanks a lot, Setsuna-san! Anyway, moving on to the story: I’m glad that Tigre at least isn’t being doubted by most of the people in the Capital due to the rumors that Tigre is tool of Zchted, including Badouin and Regin, although there do seem to be quite a lot of people who don’t Tigre and who readily accepted the rumors. I’m still worried that Regin might still be holding a grudge against Elen for having made Tigre go to Asvarre. I hope she’ll understand that Elen had no choice since it was a request from the King of Zchted and that, as such, it couldn’t be ignored. There’s also the fact that Elen tried to look for excuses to deny the order but couldn’t find even such excuse that would be acceptable. I’m also a bit worried about Figneria’s attitude as a Vanadis, but there’s at leas the fact that she does want to try governing a dukedom. I just hope she’ll be a good governor for Legnica who will be able to trust her retainers and servants well enough and that she’ll be able to get along with Sophy and Elen, as well as Tigre, to some extent. Speaking of Tigre, however, there’s also the concern about him seeing her bathing or otherwise naked in some situation and make her wary/mad at him. If she can understand that it was an accident and that he didn’t really mean it, then it’s fine, but she might also hold animosity towards for a while like Mila did before she comes to know of his true nature (and I also she falls in love with him eventually, even though it would create a love rivalry between her and the other Vanadis who love him (and Regin, as she loves him, too)). I’m also a bit frustrated about the fact that Sophy doesn’t yet seem to have noticed the connection between the legend of the King of the Magic Bullet and Tigre’s black bow. It’s really troublesome and strange that she still hasn’t noticed it, no? I’m just about convinced that the bow that the legend talks about, whose arrows always pierce and bring down their targets, is without a doubt House Vorn’s heirloom black bow. And also about the fact that Zchted’s founder King, who claimed himself to be Zirnitra’s incarnation, was also one of those Kings of the Magic Bullet. If that’s true, it would mean that House Vorn directly descends from Zchted’s founder King and that Tigre has the blood of Zchted’s royal family flowing within. If this is the case, I hope he learns of it soon so that he can understand that he can marry a Vanadis without having to become a bridegroom. On a slightly related note (just to the fact that it’s about the Madan no Ou to Vanadis series), I saw in the series’ WIkia page that Melisande’s status has been marked as “deceased”. I’ve been wondering about that. The translation has even reached that far yet, so how do they know that? Have they read the RAWs and decided to spoil it for us? There should be an “Edit” button here. In “She doesn’t seem to have to have learned them yet, after all,” I accidentally repeated “to have”. It should be “She doesn’t seem to have learned them”. I wonder if “Anyway, moving on to the story:” should have “rest of the” added in between “to” and “the”. About the third paragraph after “Anyways . . . ,” what I mean to be saying is that it’s the rumors that say that Tigre is a pawn of Zchted that I’m worried about, where I say that I’m glad that Regin and Badouin, as well as most of the other nobles in the Capital, thankfully accepted them even though many people holding animosity towards Tigre or otherwise just don’t like him for whatever reason have already accepted the rumors. In the part where I start with “I’m also a bit worried about Figneria’s attitude as a Vanadis, but there’s at leas the . . . “, the word “leas” should be “least”. As for what I said here in these parentheses: “(and I also she falls in love with him eventually, even though it would create a love rivalry between her and the other Vanadis who love him (and Regin, as she loves him, too))”: in the part after “and I also,” there should be “hope” before “falls in love with him eventually”. In the part where I talk about my thoughts concerning the legend of the King of the Magic Bullet, in the part “If that’s true, it would mean that House Vorn directly descends from Zchted’s founder King and that Tigre has the blood of Zchted’s royal family flowing within”: this should end with having the word “him” after “within”. The last mistake I noticed in my post above is where I accidentally typed the first “I” in “Wikia” as a capital letter in the last paragraph. I hope I can fix them or have them fixed. So, again, this site needs an “Edit” button for the comments. Hello here, me and Valkyrious are the only two officers of the Vanadis Wikia and I think i can relate your question: regarding the “spoilers”, is the fact that some of us focuses on the novel’s main point rather than the overalls. What we know for now is that there will be skirmishes in Nice Royal Palace and there will be conflict in this arc/volume itself. 1. Anyways, as you may or may not know it, Fine is still fresh as a Vanadis despite being her longtime experience as a mercenary. Remember, Fine is the lone she-wolf among the seven, so getting along even with her subjects might be her challenge. Not to mention that the only reason her to be a Vanadis to begin with is due to Bargren’s reappearance ( you might outta questions the Viralt about why it chose Fine of all people in the land but nevertheless, they are still a Vanadis’s signature weapon), but keep in mind that Fine is still having trust issues to anyone or anything, even her new weapons. 2. The growth of the Vanadis is still depending on a personal,. One such example is Liza, where she took at least 7 years for her to master both military and politics as a Vanadis. 3. As for the lore of the King Magic Bullet itself, even if Sofy wanted to debunk the myth there are little evidence in supporting that the Black Bow’s relevance , in which giving more question and answers. Also, lets not dismiss over the Nice Royal Palace’s garden and Tigre’s mysterious mother, which according to the fans speculations (includes myself), could be relevant to the said lore. @Chingaruna517: Who said anything about debunking the legend of the King of the Magic Bullet? I just think Sofy should realize the truth already. Tigre, too. And without a doubt, the Black Bow is the same bow as in the legend. I’m sure of it. I know about Fine, though. But she should at least be able to get along with Ellen and Tigre, the former only after she’s sure that Ellen isn’t mad at her about Vissarion’s death (she might be, in which case Fine may have to ask for forgiveness, but yeah). I would count that “already” known the truth on Sofy part, even if there is a possible hint of the lineage. Like I said, it requires evidence to the further prove to confirm that lore. You got to know that even Tigre himself didn’t know much about the House Vorn’s history, let alone the lore itself. And remember, of all the fairy-tales Tigre heard from her late mother, Black Bow wasn’t one of them and he need to dig that out by himself. Well, when she was reading the legend in that book in her private library, Sofy didn’t seem to make the connection to Tigre’s Black Bow. She even went as far as to think that it’s unrelated to the Demons and that she should gain more information on Demons until the next time she has to encounter one, even if only a little more. She didn’t realize that the legend of the King of the Magic Bullet is related to the Demons in some way. By the way, Tigre is a guy, so it’s not “her,” it’s “his”. Several times this translation mistakenly says sickle when mentioning Valentina’s weapon which is clearly wrong, as her draconic tool is a scythe that’s completely different in shape and how it’s used. This should be fixed seeing it’s a quite glaring error. Have you ever compared what a scythe and a sickles looks like, practically the same and anyway if the original text translate to sickle we keep it that way. Please don’t get me wrong, but the only people who would say that a sickle and a scythe are practically the same are those who have no idea what they are talking about. Just because the original text was faulty to begin with doesn’t mean you have to copy that too only to deceive those reading it. Here’s what a sickle looks like. And here’s what a scythe looks like. then here’s a picture of Valentina which clearly shows what her draconic tool is. Should you still insist that it’s a sickle, then you need your eyes checked. Here’s an example of a common sickle and scythe the author didn’t make a mistake, rather you should get your common sense checked. Just because Valentina’s Viralt is of a peculiar shape that doesn’t mean it can only be called a scythe. Both a scythe and sickle are agricultural tools used for harvesting crops. 2. and this raises doubts about the quality of the translation because if you support such mistakes being left in it while ignoring the real meaning, then it’s little different from a machine translation if you also count the awkwardness of the grammatic structure in the sentences as well as the awful number of successive word repetitions. As such, rather than pointing fingers at me, maybe you should be the ones to consider whether there really are serious problems with the quality of your releases or not. please, stop with the discussion, I translate it like that based on the raw text. When the author described Valentina’s dragonic tool, he began by calling it a long-handled sickle before calling it sythe. I’m afraid you have to calm down I don’t see why you would care so much about one little thing. If you don’t like the way we do things here then don’t read it simple as that. That’s the last thing I’ll say about this topic since it appears you aren’t able to just rationally calmly talk about it. I would very much like to comply but I can’t because what you have just said confirms that the author pulled that out of thin air without actually considering what he’s saying. A sickle, no matter how long the handle is cannot reach the proportions of a scythe. That’s a fact. A longer handle wouldn’t make the blade bigger too, it would only cause handling it more difficult due to the disrepancies the size difference creates. 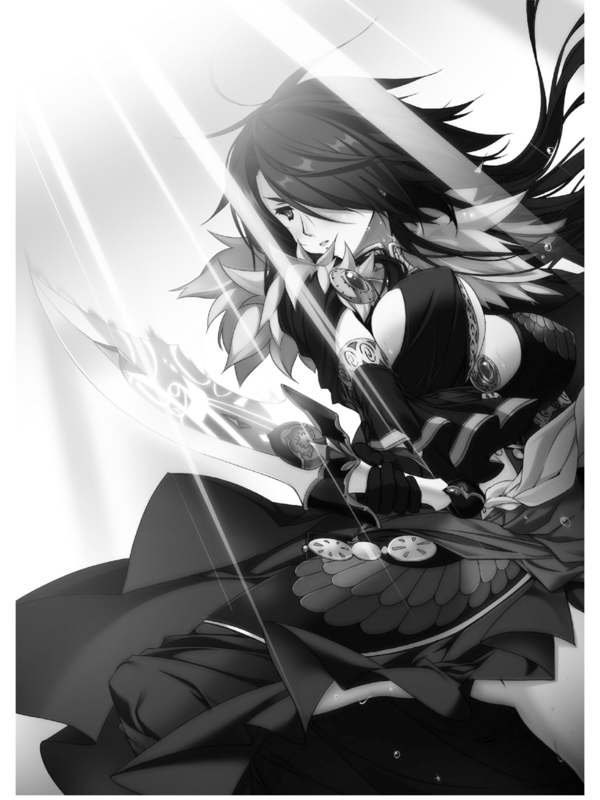 But even if you don’t care about that, just by the illustrations inside the novels alone you should see which one her weapon belongs to. I know what a sickle is like, I have used them many times and can even take pictures. It is your decision of course if you want to keep the translation as it is now or change it to how it should be, but as I have explained before, just because the author doesn’t know what he’s talking about in his descriptions, it doesn’t mean you have to do the same. And it would be really disappointing if you left it like this. This is not even a subjective matter which could be argued back and forth. Anyone actually paying attention to the story who also looks at the illustration would see they don’t match up. And that would openly raise the doubt if the translation is accurate or not. That’s why if you insist on keeping the sickle somewhere, you should do so in a footnote, explaining what the creator of this novel said and why it differs from actual facts. That way no one would be dissatisfied. If you still say you won’t correct this, fine. But you can’t turn away the criticism either then. I also have to say about the sickle vs. scythe discussion that I’m with the Anon guy who’s saying that Ezendeis is a scythe. Aside from everything he’s said (although I’ve would’ve tried saying it in less harsher words), I’d like to say that you should look at the weapon a Grim Reaper has and compare that to Ezendeis. The weapon Grim Reapers use is called a scythe, by the way. It’s up to Setsuna really if he wants to change it it’s fine but it is rather annoying and impolite how people like anon get all up in your face. What right does he have to keep insisting about this topic when all he does is leeches. For one thing, it’s called feedback. If you publish something on the internet or anywhere for that matter, you also accept that you will be getting some kind, unless you don’t care in which case comments can simply be disabled altogether. I apologize here that I was being harsh, I could have handled the difference in standpoint better. However, to be fair, it’s not setsuna I had a problem with but dualxblades’ first response when he backhandedly dismissed my point in the beginning saying that sickles and scythes are pretty much the same and in a tone that I couldn’t help but perceive as condescending, since it covertly said that I’m unable to understand even something as simple as that. My harshness in my later responses even weren’t directed at setsuna therefore, I’m grateful for his efforts to bring Madan no Ou to Vanadis in English to us. It’s just I have a somewhat low tolerance for comments which indirectly take me for a fool without actually looking at the facts. That said, I’m sorry for aggravating Setsuna. As for dualblades, let’s just say I didn’t intend to bring this argument this far, but I also didn’t expect that constructive criticism would be handled like this because I’m a “leecher”. I will refrain from leaving more from now on, so no one will have to be worried.